Here’s one more for the Talking Dictionary. 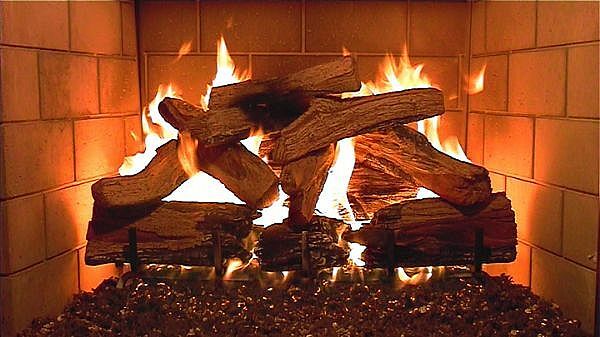 Everyone loves a nice fire in the fireplace on a cold winter night. But not everyone loves to go out into the cold, dark night and get dirty logs off the woodpile and drag them into the house. I would be one of those people. So when Jill asked me to make a fire the other night, well, you can guess my answer. NO! And the reason I gave was the one I gave above. I am consistent if nothing else, it was cold outside and the logs are dirty, have leaves and bugs in them. She looked at me and said “so just use the duraf - la - mays.” Excuse me? Use the what? “You know, the duraf – la – mays!” she said again. Quizzical look – shake of the head and I reply “I have no idea what you are talking about”. She then grabs my hand, takes me into the den and points to the box near the fireplace and says “look, it says it right on the box duraf – la – may”. And yes in deed, there it was in bold print DURAFLAME! One talking dictionary for Jill please.